Net sales during the reported quarter rose to Rs 20,594.3 crore, up 14.4 per cent against the year-ago period. Country's largest carmaker Maruti Suzuki India on Friday reported 10 per cent rise in net profit at Rs 1,882.1 crore for the March quarter even as tax expenses went up. The company had posted a net profit of Rs 1,710.5 crore in January-March, 2016-17. For the full year ended March 31, the company posted its highest ever annual net profit of Rs 7,721.8 crore, up 5.1 per cent from Rs 7,350.2 crore in the previous year. Net sales in 2017-18 stood at Rs 78,104.8 crore, up 16.7 per cent from 2016-17. Commenting on the rise in net profit during the year, MSI Chairman RS Bhargava said: "Compared to last year the effective tax rates went up by about 3 per cent. So instead of 26 per cent earlier, it has gone up to 29 per cent." Lower non-operating income due to mark-to-market impact on the invested surplus, compared to last year also impacted the net profit, he added. Other items which put pressure on balance sheet included an outgo of around Rs 255 crore for resolving a land issue in Manesar, Bhargava said. The company also faced cost pressure, including rise in commodity prices, forcing the company to shell out Rs 700 crore extra during 2017-18 on various items including steel and aluminium. During the last financial year, MSI's tax expense stood at Rs 3,281.6 crore as compared with Rs 2,610.1 crore in 2016-17, up 25.7 per cent. "Despite all this, we have done better during the year (2017-18) in all aspects. Our market share has gone up 2.7 per cent to 50 per cent in the passenger vehicle segment," Bhargava said. The company was also able to post a double digit --14.5 per cent -- growth during 2017-18, he added. The company's board, which met on Friday, gave its in-principle approval for establishing an employee welfare fund, and a trust to promote scientific research and technology in India. After formal approval by the board, the fund and the trust would be established later this year. Thereafter, MSI will contribute 1 per cent of the profit after tax of the previous year to each of the fund and the trust, respectively. Bhargava said a new royalty payment formula has been approved which would result in lower royalty payment outgo for the company. Under the new formula, royalty would be calculated in rupee terms and there would be a discount on the royalty after a certain volume and the expenses done by MSI in product development would also be reimbursed. 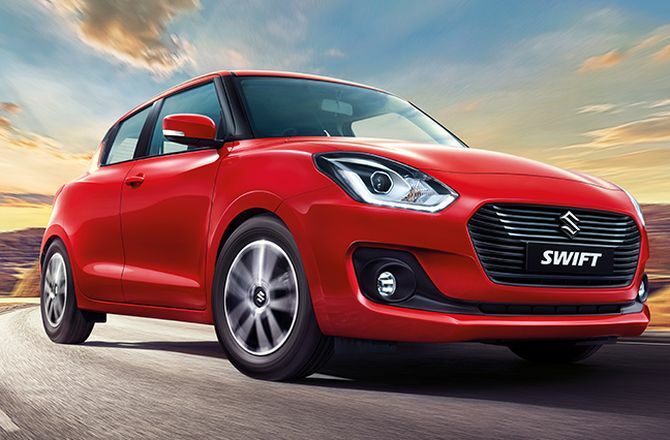 "It has been applied to three new models -- Ignis, Swift and Dzire. These models will now be subject to new formula. The expectation is that by 2021 all Maruti models would come under this formula resulting in royalty percentage figure coming down from the current 5.4 per cent," Bhargava said. He added that the figure is expected to go down under 5 per cent (of net sales) going ahead. The company's board also recommended a dividend of Rs 80 per share of face value Rs 5 for 2017-18. During 2017-18, MSI sold a total of 17,79,574 units, up 13.4 per cent, from 2016-17. Exports stood at 126,074 units. During the fourth quarter, its total car sales were up 11.4 per cent to 461,773 units. MSI stock ended 1.9 per cent down at Rs 8,777.95 on BSE. How good is the new Volkswagen Passat?